Hmm Great Wall but why you cant make your background alone ? thats really pretty. Inlove that picture! Also, Iam totally digging the Evanescence font ^_~ Its so cool! the wallpaper looks nice, i liek the way you made the frame. and teh chara looks good too. I love the background and the effects you used! I like the color and bckground too. But i think his name was "Shaoran" not "Shaolan", am i right ? 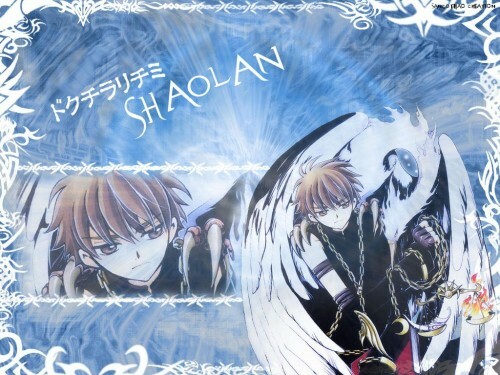 'Shaolan'?o_o That's a strange way to call Syaoran-kun..But, whatever, nice work, love the font and the scan you used ^_^ Keep it up!